Apple Music will be available on Sonos later this year | What Hi-Fi? Tomorrow is launch day for Apple Music, and many Sonos owners have been wondering when they'll be able to get Apple's new streaming service on their systems. Our colleagues on sister site Stuff.tv appear to have the answer: it won't be until later this year. Ian Rogers, Apple Music's senior director, posted an answer to the question on Twitter: "It will be ASAP, but not at launch." 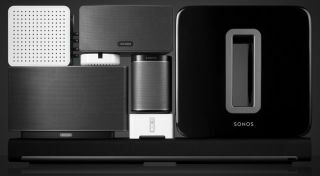 We already know Sonos is very keen to include Apple Music as one of the official services on its system. According to the @SonosSupport social media account, the official line is: "[Apple Music] will not be available at launch, but we'd love to bring the service to Sonos when Apple is ready." Buzzfeed News has also spoken to Apple and has been told: "We're working together to make Apple Music available on Sonos before the end of the year." So there you have it. Sonos owners may have to wait a while longer, but they will be able to access Apple Music in a few months. It's also reported that iOS 8.4, the software update for iPhone/iPad that includes Apple Music, will be released at 8am Pacific Time tomorrow (30th June), which is 4pm UK time.